In the village of Raidelbach, in western Germany’s Hesse-Darmstadt, “American Fever” ran high in the summer of 1830. Adam Tracht, a respected former army captain, heard that in the state of Ohio land was cheap by German standards, work was plentiful, and there was freedom. Emigration to America was not simple and twice the voyage was postponed but in the middle of May, 1831 the day had finally arrived. Two ships were set to make this 82 day voyage to America, the Famous Dove and a smaller, slower ship with no record of its name survives. Why Famous Dove? This has been a mystery even to descendants of the emigrants but has been suggested that in western Germany the dove symbolizes peace and freedom. They were “flying” over the waves to American. The ship would remain the Famous Dove in the collective memory of its passengers and descendants. Disaster threatened the Famous Dove and its passengers as a storm hit and the ship began to take on water. It is said that a young girl started singing hymns and the rest of the passengers joined in. As the night wore on, the wind and wave diminished and by morning the sea was calm. Miraculously, the ship had grounded on a sandbar only 100 yards from the beach. Many passengers had to stay on the east coast to earn more money before they could travel the distance to Ohio.  In 1834, twelve families aboard the Famous Dove settled in Hancock County where land was two dollars per acre. By 1843, thirty-six families had gathered in the vicinity of Jenera, where they made up a sizeable percentage of the population. They founded a Lutheran Church, and the community prospered. They became land owning farmers with more acres than they could’ve imagined. The memory of the shipwreck became central to their communal identity and is well remembered today, celebrated with Shipwreck Sunday on September 17th in Hancock County where many Famous Dove descendants still live today.